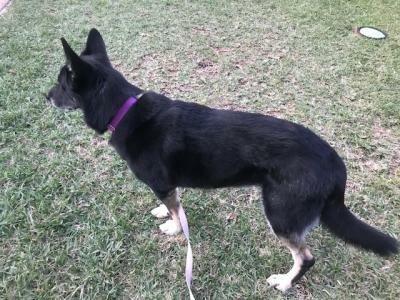 Brooke - Southwest Florida German Shepherd Rescue Inc.
Southwest Florida German Shepherd Rescue Inc.
Brooke is an owner surrender due to family issues of allergies in a toddler. Currently in a 2 wk foster to adopt home. Brooke is a 7 yr old 70 pound spayed female. She needs leash training. She is good with bigger dogs and cats. She is very playful with her 1 yr old housemate. She loves to be outside but she is an indoor dog. Has been home for up to 8 hrs us nit destructive. Has been crated in the past. She eats benefit lean salmon. She has some mild arthritis that doesn’t slow her down. She does have chronic ear issues controlled with drops. I will have her seen at our vet for a heartworm test and a check up this week. She has a lump on her belly that has not changed in several years. Wonderful medium energy girl that will make a wonderful companion. 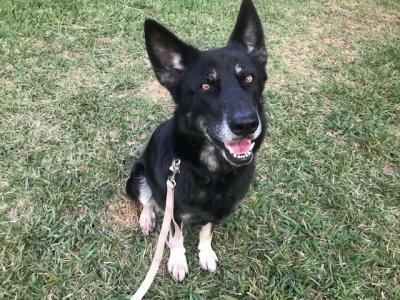 Copyright © 2019 Southwest Florida German Shepherd Rescue Inc.